We clar­ify the mech­a­nisms through which rural elec­tri­fi­ca­tion can con­tribute to rural devel­op­ment. 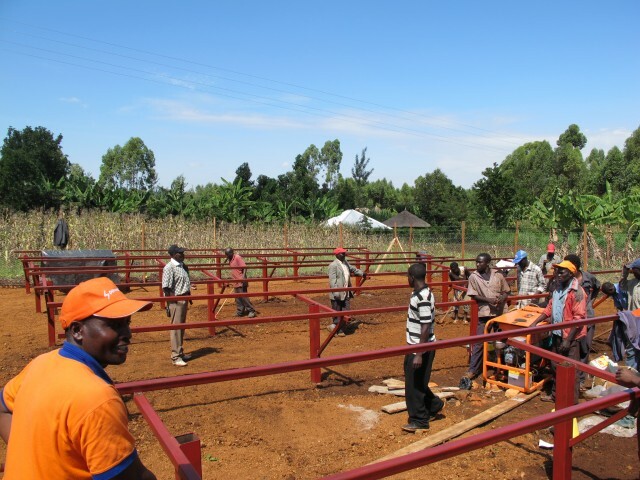 Through a detailed case study analy­sis of a community-​​based elec­tric micro-​​grid in rural Kenya, we demon­strate that access to elec­tric­ity enables the use of elec­tric equip­ment and tools by small and micro enter­prises, result­ing in sig­nif­i­cant improve­ment in pro­duc­tiv­ity per worker (100–200% depend­ing on the task at hand) and in a cor­re­spond­ing growth in income lev­els in the order of 20–70%, depend­ing on the prod­uct made. Access to elec­tric­ity simul­ta­ne­ously enables and improves the deliv­ery of social and busi­ness ser­vices from a wide range of village-​​level infra­struc­ture (e.g., schools, mar­kets, and water pumps) while improv­ing the pro­duc­tiv­ity of agri­cul­tural activ­i­ties. We find that increased pro­duc­tiv­ity and growth in rev­enues within the con­text of bet­ter deliv­ery of social and busi­ness sup­port ser­vices con­tribute to achiev­ing higher social and eco­nomic ben­e­fits for rural com­mu­ni­ties. We also demon­strate that when local elec­tric­ity users have an abil­ity to charge and enforce cost-​​reflective tar­iffs and when elec­tric­ity con­sump­tion is closely linked to pro­duc­tive uses that gen­er­ate incomes, cost recov­ery is feasible.